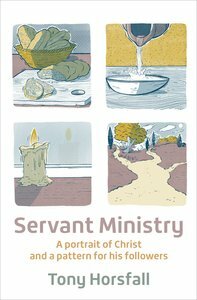 About "Servant Ministry: A Portrait of Christ and a Pattern For His Followers"
Tony Horsfall is a freelance trainer with a passion to help individuals deepen their relationship with God. He is an elder of his local church in West Yorkshire and a graduate of London School of Theology, and regularly travels abroad leading retreats and quiet days, road-testing the material in this book in Singapore. He has written a number of other books, including Song of the Shepherd, Mentoring for Spiritual Growth, Rythmns of Grace and A Fruitful Life for BRF, and also writes for New Daylight Bible reading notes.